My spouse and I don’t get much time off from work, so on those rare occasions when we do, we like to go away for a weekend. 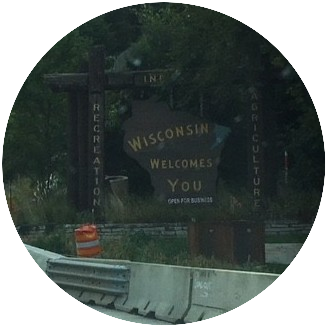 This past weekend we made a trip to the Wisconsin Dells, mostly to meet with my spouse’s parents, but also to take our granddaughter to swim in the pool at the hotel because she loves that! Meeting in the Dells is about halfway for each of us to travel so it made sense. It is still a seven-hour drive, but the roads are pretty good and we purchased a new vehicle so it wasn’t too bad. Since most of the first day was spent in the car, it was a pretty mundane trip, but my granddaughter did liven it up with her games. She was so excited. This became more exciting for all of us the closer we got to our destination. When we arrived at the hotel and checked in we met with my spouses’ parents and went out for supper at a Cracker Barrel. I had never been to a Cracker Barrel before so I didn’t know what to expect. It was decorated interestingly and it just so happened that we were seated in an area that was all about farming even down to the Surge Pipeline metal wall hanging. Growing up on the farm, that was the brand of pipeline we used for our milking cows. We ate and then went back to the hotel where we proceeded to check out the swimming pool. The kiddie pool had a castle and a couple of slides and the “big” kid pool had a bigger slide. 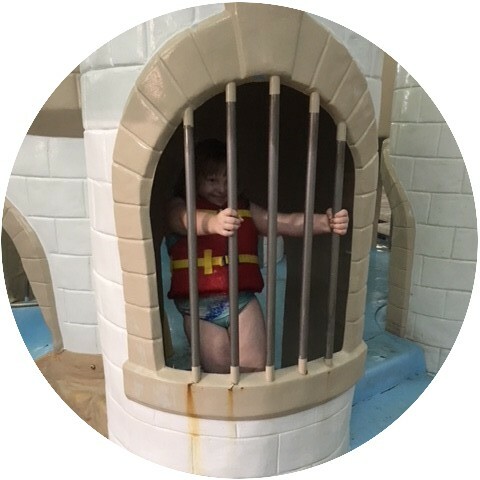 As fun as the castle was, the novelty kind of wore off quickly for my granddaughter and she wanted to go into the big pool. At first, she was afraid to go beyond where she could still touch the bottom, but with me on one side and my spouse on the other she finally was brave enough to let us take her out into the deeper areas of the pool. By the end of the first evening she was begging us to let her try “swimming” on her own (she had a life jacket on). We let her go out into the deeper waters—we were still on either side of her—and let her swim to us a few feet either way. She did not want to leave the pool. Finally, we did and that little girl slept soundly all night in her very own queen-sized bed! My granddaughter is very curious. She wants to try out everything. We decided to go to a festival on Saturday. Apparently, this is a very big deal in the Dells with thousands and thousands of people attending this craft and arts festival. They were also having what appeared to be a half-marathon (13 miles), so one lane of traffic was blocked off for the runners. It took us almost an hour to drive five miles! But, I was able to take several pretty cool photos from the car as we were going! And my granddaughter loved seeing the interesting things along the way, as well. She asked a lot of questions as we went past one of the amusement parks called Mt. Olympus. 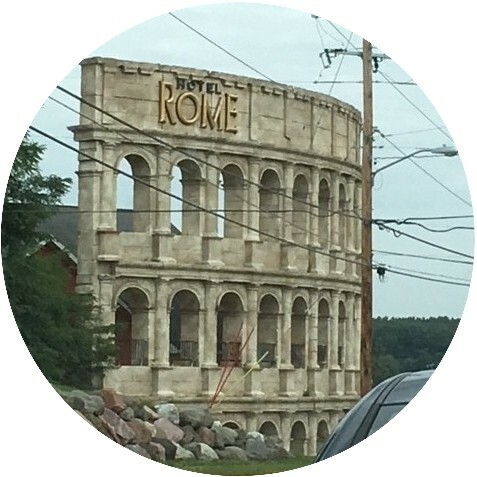 While I did not study history, I have always wanted to go to Greece and Italy, so I was able to tell her about some things we saw like the Colosseum and the Trojan Horse that we saw which were part of the attractions (rides) there. Thank you for your comments. Doing what we are doing can be a challenge, but knowing that she is having the best life we can give her is worth the sacrifice! We had a great time on our mini-vacation! Thanks for taking us through your trip with your Granddaughter. It indeed felt like I was having a blast with my own Grandparents. Though not a mum yet not to talk about having grandkids, I also usually love to have some fun quality time with my little cousins. And I must say no words could express the fulfilment of such times. It’s really is a blessing been around those little angels. You are welcome, Tohin. I am glad our story brought back pleasant memories for you of having a great time with your own grandparents! Keep enjoying your little cousins! They grow up so fast. Paula, It is an absolute joy being a grandparent. Raising a grandkid is a lot of fun, too! We love doing things with all of our grandchildren, but don’t get to spend as much time with them as we would like to. I think you will love being a grandparent! You get to do all of the spoiling of the grandkid and then get to send them home! Thank you, Maria. These trips can be a lot of fun and educational, as well! Being a grandmother rocks! I never thought I would be blessed with this honor! Hi Karin, although I am not raising my grandchildren, they have spent a lot of time with me and my wife. We take them everywhere we go. 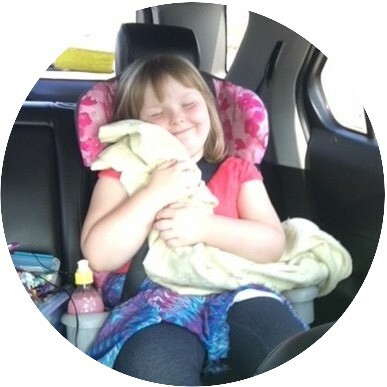 My oldest granddaughter who is now 14, was connected at the hip to us when she was younger, not so much anymore (teenage years :), but I have a 4-year-old granddaughter to bridge the gap. Grandchildren are a blessing….God bless you and your family. Thank you for your comments, Courtney. Spending time with grandchildren can be such a joy. I love it when my other grandchildren can come to visit, as well. I have one grandson and four other granddaughters with a potential for two more when my daughter marries her boyfriend! He has two kids. We already consider them our grandchildren! God has truly blessed us in so many ways! Every day I am amazed at His goodness and mercy! Well, Jamaar, it is a pretty place. If you check out Part two of the story, you will see a lot more of the trip photos! It is a nice place to take a vacation! I sounds like you are makimg the most of it all. I loved reading about all fun. Wisconsin sounds like a fun place to visit. I need to the list of place to take my kids. The Dells can be a great place to visit. There are so many water parks and amusement and theme parks, if that is the kind of thing they like. There are also many boat tours including tours of the upper and lower Dells. I wanted to ride the “duck boats”, but I was overruled! 🙂 The tour we did take was fun and educational though! If you need any assistance with things to see or do, please let me know. I’m not an expert, but we had fun and it didn’t cost us an arm and leg to do so. Hi Karin that was a very nice story. Aren’t grandchildren great. Grandchildren are the absolute best, Mark! I love spending time with mine!